This story on No. 10 athlete Usain Bolt appears in ESPN The Magazine's April 2 Dominant 20 Anniversary Issue. Subscribe today! 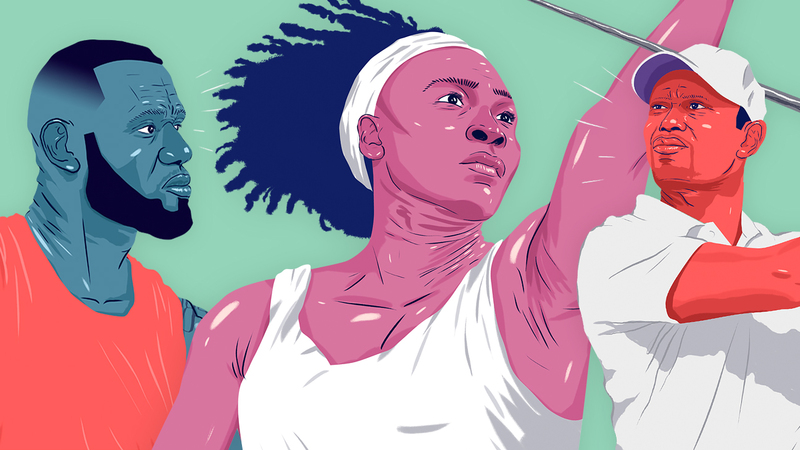 In celebration of ESPN The Magazine's 20th anniversary, Peter Keating crunched the numbers to find the most dominant athletes of our time. 19-2: From 2008 to '16, Bolt lost just two events in the Olympics and worlds. The two L's? A false start at the '11 worlds and a relay teammate's failed drug test at the '08 Games. 41: Bolt, at 6-foot-5, covers 100 meters in just 41 steps, at least two fewer than the average elite sprinter. That's 2.44 meters, or roughly 8 feet, per stride. 9.58: Bolt's 9.58 in the 2009 100M in Berlin was 0.11 of a second faster than runners-up Tyson Gay's and Yohan Blake's best ... which was 0.11 faster than No. 41 on the list. 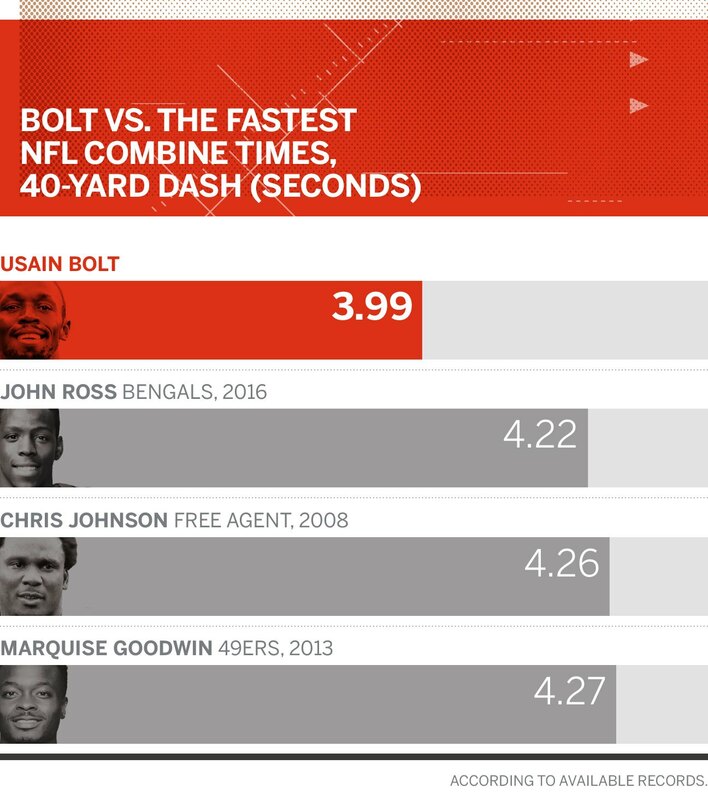 Bolt's record 100M time, per MileSplit.com, nets to a sub-4.0 40-yard dash. That would best the NFL combine record of 4.22, set by Bengals WR John Ross. Bolt's top speed during his record 100M was 27.8 mph. Perspective? 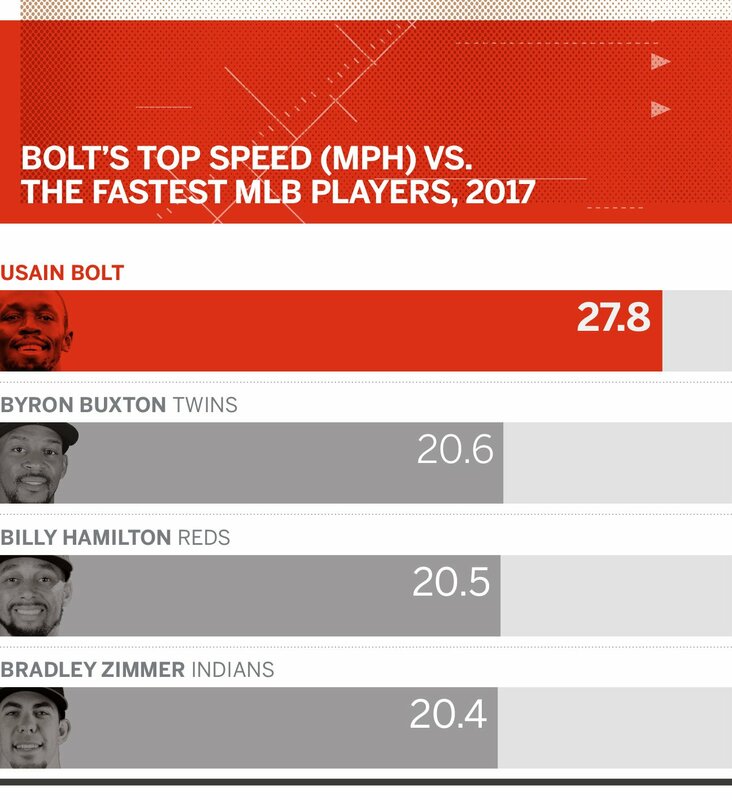 Byron Buxton was the fastest player in MLB last season. He topped out at 20.6. 78.9M: Bolt runs 100 meters in 9.58 seconds. How far would Jose Altuve, whose 3.33 seconds from home to first is MLB's fastest, run in that time? Less than 79M. 0: Amazingly, according to The New Yorker in 2016, the star sprinter has never run a full mile -- a gym class staple-in his entire life. Lucky guy! Anthony Olivieri has been a researcher-reporter with The Mag since 2012. His primary beats are the NBA, NFL and analytics. Additional reporting by Doug Mittler.